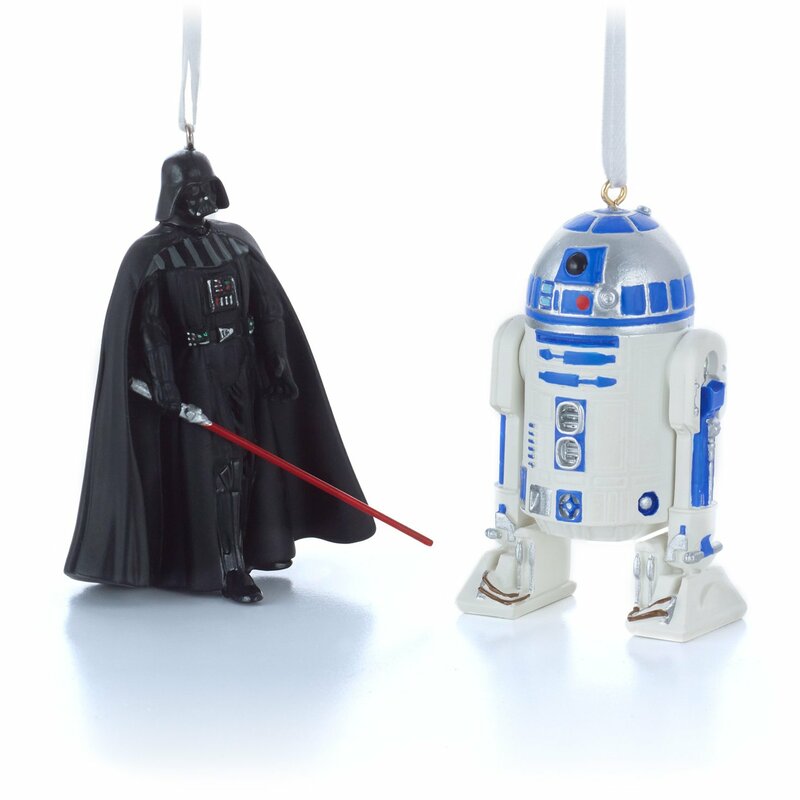 You can add on some real intergalactic baubles of bling to your festive Holiday decor with some super looking Star Wars Christmas tree ornaments. Why not have lots of sci-fi fun this season when you decorate with some really out of this world ornaments. You could dress up the tree with some of your very favorite characters from the movies and perhaps even add in some items like spaceships too. What you need to decide is whether you will be decorating for the dark side with characters loyal to the Empire or instead with those who have trusted their faith to the Rebel Alliance. The choice is entirely yours, so use it wisely Padawan. ⭐ Give the whole tree a real make-over or simply add in a few fun and key pieces instead. 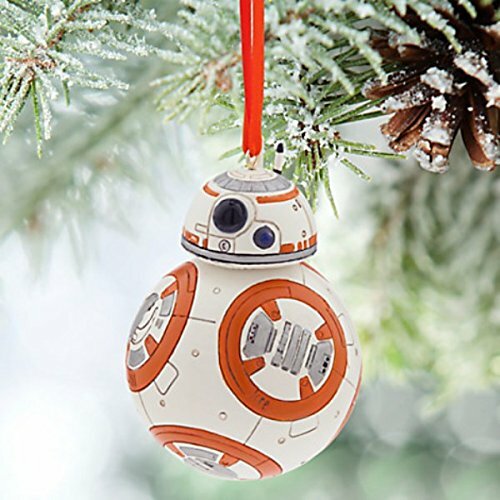 Of course you can also gift one of these geeky Star Wars Christmas ornaments. A Star Wars fan will enjoy admiring it through the whole Holiday. You’ll find a number of classic and favorite movie characters here on one page for you to enjoy. Come on over to the dark side of the Force by showing your allegiance to the Sith Lord, Darth Vader or to the droid R2D2. Hang up a little bit of Imperial evil with this resin / plastic Darth Vader design. This ornament shows off his full figure in his impressive flowing black robes, instead of just a bust or headpiece as is much more common. I like the fact that this one is realistic looking and he is in an action pose looking like he is about to strike with his red lightsaber. 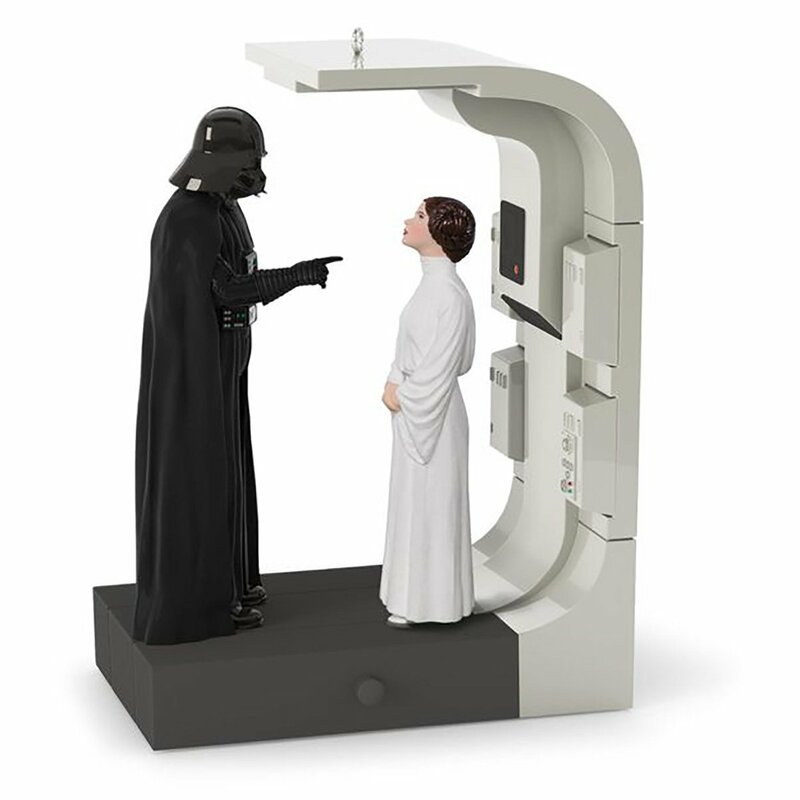 Vader’s really the only Sith Lord that you need to hang on your tree anytime soon. You can get other Lord Vader ornaments including a head, a bust and also a Hallmark Lego version which is pretty interesting. The Lego Minifigure Star Wars ornaments are bigger than the actual minifigs that you get in a normal tub of Lego. These figures that are produced by Hallmark, are just over 3 inches tall. 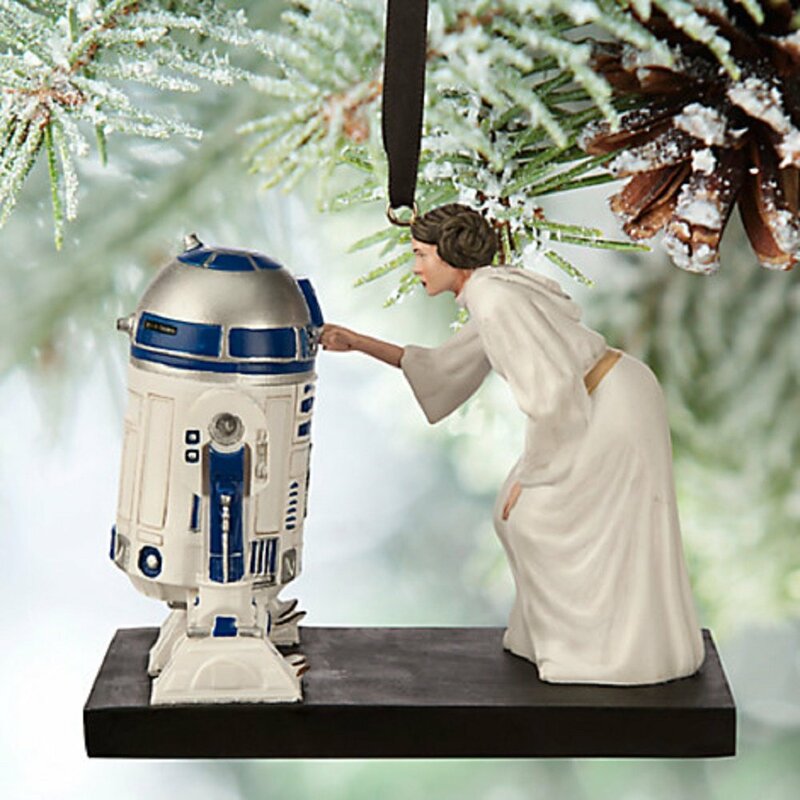 They can really look great hanging from the tree of a sci-fi fan. The Darth Vader character would work well with some festive red decorations to match in with his lightsaber. Kids and adult fans can both enjoy the cool Lego styling. It is great that he comes with his red weaponry too. One of the very best characters from the new Star Wars movies, such as The Force Awakens, is the BB-8 Droid who is really adorable. I never thought I would love another droid as much as R2-D2 and C-3PO. However, BB-8 steals the show and I love the way he rolls around to move. To get up-to-date with this science fiction look, this one ought to take pride of place on the Holiday tree. For anyone who loves this range of Lego, there is a selection of Holiday ornaments by Hallmark that look really awesome. They are based on the actual minifigures but a little bigger; the Stormtrooper version and others are just over 3 inches tall. 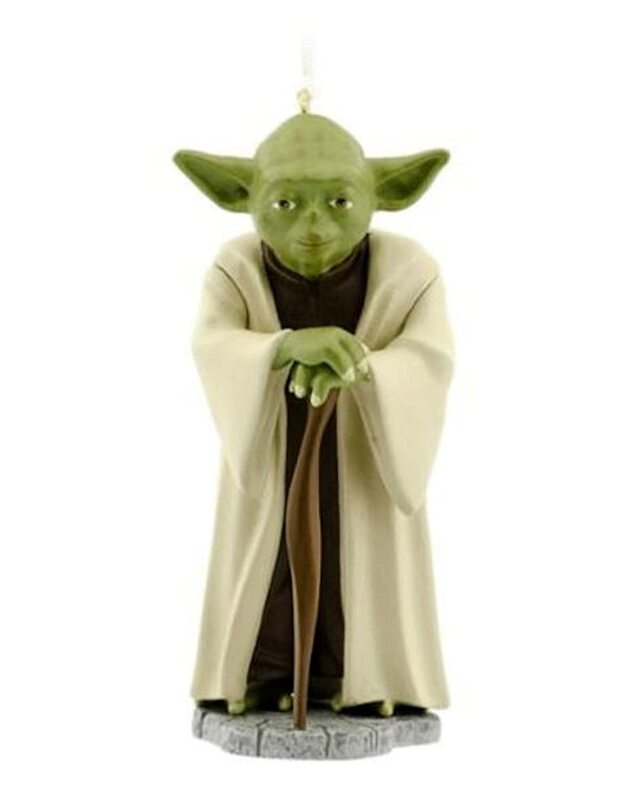 There is also a matching Darth Vader figure as well as a Yoda and Boba Fett in this Hallmark ornament series. Of course, if you’re feeling particularly crafty, you could build up your very own Lego themed items for the Christmas tree instead. There are many different C-3PO ornaments to choose from but I really love the look of this version which shows this rather serious character wearing a festive scarf and holding a Holiday gift. It is quite out of his character and that's why I think it's particularly good. 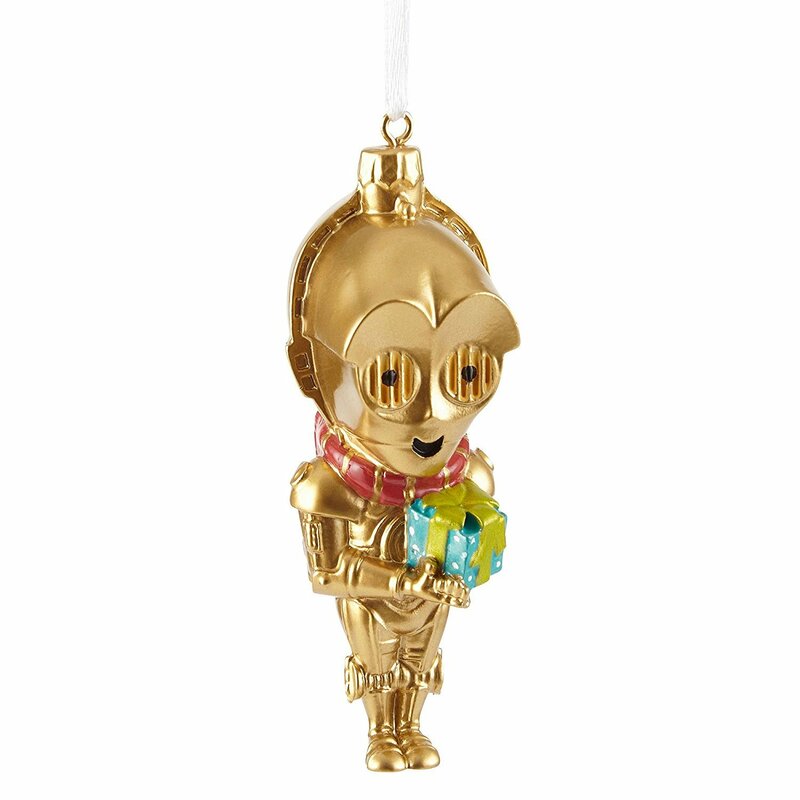 There is also a shiny looking C-3PO head ornament available which I also love because his gold tone color is so suitable for Christmas. Gold as a color should really work wonderfully placed on a traditionally decorated tree, just as well as on a modern one. The head version is actually a blown glass ornament and is approximately 3 inches tall. 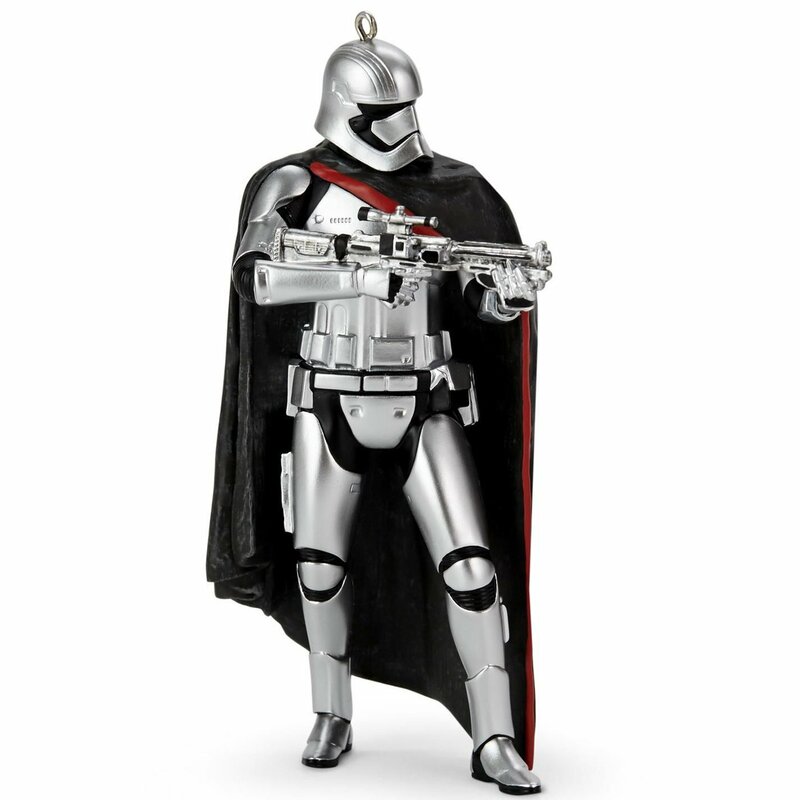 It makes quite a real Star Wars statement for your festive decor. If you do buy blown glass ornaments, bear in mind that they are not suitable for kids to play with and are not something I'd recommend in a house with very young children. Shame that this rebel droid isn’t fluent in over 6 million forms of communication. But then again it might just drive you nuts if it really was. R2-D2 is the sweetness and light to the Star Wars droid C-3PO who stresses, moans and simply talks too much. 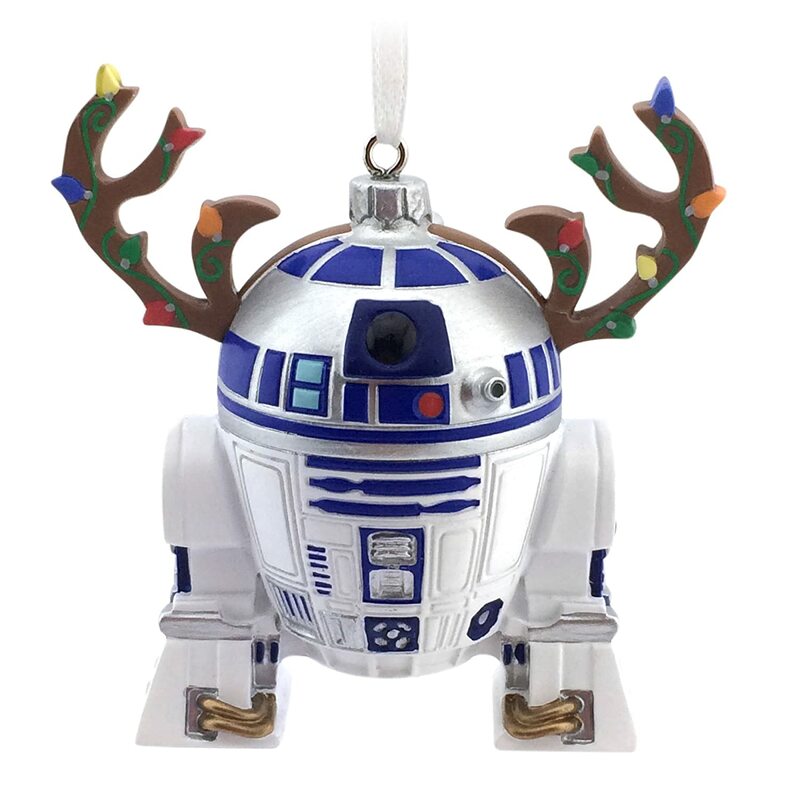 Artoo, as he is otherwise fondly known, should add some silver color sparkle to your festive decor this year. He is another much loved character who can steal the show on your tree. Look for him online. I just love the Ewoks from the moon of Endor. I know fans are split over them but I always found them really cute. They featured the Ewok characters in Return of the Jedi movie. They will surely add a real cuteness factor to the festive decor. Part of what makes Darth the most sinister Sith Lord from the Star Wars science fiction universe, is how he appears to be so menacing. He has the long, dark robes trailing behind him on the floor as he strides towards quashing any members of the Rebel Alliance. I find that he is so much more menacing and sinister than Darth Maul who looks almost comedic in comparison. I think they tried to hard to make Darth Maul look evil and it certainly didn’t work for me. Kylo Ren was also a big disappointment to me when I saw The Force Awakens. Of course you could look also out for Princess Leia too just so I’m not just focusing purely on the guys here. And what about that Tie Fighter space craft and the Death Star. There are so many great designs on this sci-fi theme so it is impossible to share them all but I hope you’ve seen a great selection to give you ideas on what to go for, now to choose!